Total Carat Weight: 2.48 ct. 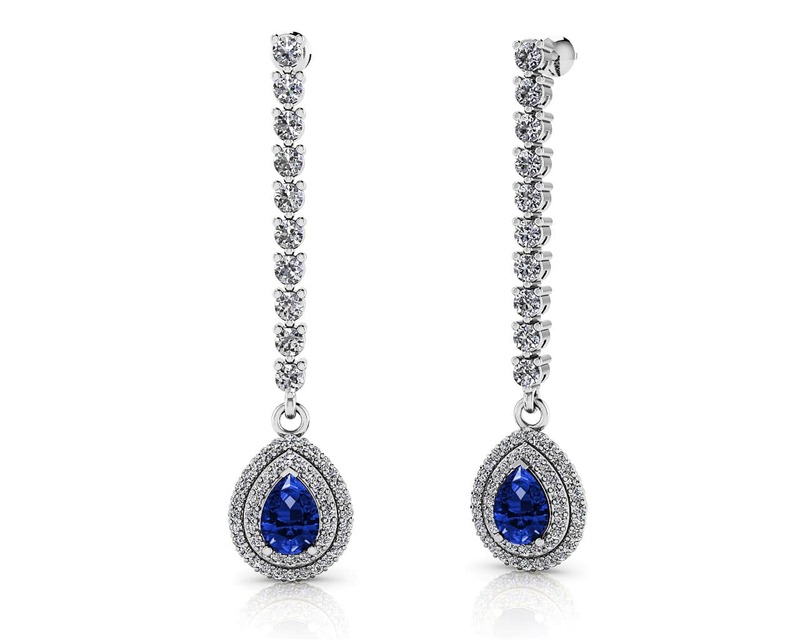 The whole room will light up with these stunning earrings! Brilliant round diamonds drop down to the gorgeous pear shaped gemstone of your choice encircled in a double halo of sparkling round diamonds. Measuring approximately 1.9 inches, these earrings make a bold, sophisticated statement. Model Carat Weight: 2.48 ct. Effective Carat Weight: 1.00 ct.
Stone Carat Weight: 108X.005 ct., 20X.047 ct., 2X0.500 ct.